Home > Latest News > Choosing a Cylinder Manufacturer? What Should You be Looking for? 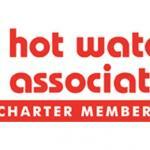 Whilst the product’s performance is the first priority when selecting a hot water cylinder, choosing a reliable and trustworthy manufacturer is also imperative to installers and homeowners.  So, what should you be looking for to ensure you receive the best quality product, service and support from your chosen manufacturer? Gledhill’s Sales Director, Neil Overton, takes a look. 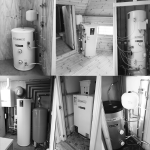 The first thing customers should be aware of is the manufacturing processes used to manufacture the hot water cylinder. Many manufacturers will use different methods, all promising the best results, however, experience and continued research & development are what ultimately provides you with the better product. Gledhill specialise in a wide range of manufacturing techniques, from acid pickling producing a reliable long lasting product resistant to corrosion, to the rare brazing and forming skills of expert coppersmiths providing high quality copper cylinders all made by hand. However, as an innovative manufacturer, we strive to continue carrying out research and development, with our core focus being to ensure consistent advancement in our products. To find out more about our processes and techniques, take a look at our Manufacturing Centre’s of Excellence for Copper & Stainless Steel. When you look to order a cylinder, you need experience, knowledge and speed. Yes, the product may be exactly what you’re looking for to meet the hot water requirements of the property, but what if the ordering process is problematic, difficult and inefficient. What if the delivery is late and unreliable? It all begins to get frustrating and unnecessarily stressful. 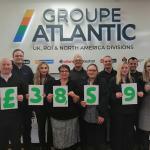 Gledhill’s unique National Distribution Network was introduced to guarantee customers a service they can rely on and look to for support. Consisting of five distribution hubs, geographically situated for widespread product availability and reinforced by our own fleet of over 30 Gledhill vehicles, we’re able to promise next day delivery on a wide range of products, meet demanding orders and reach high service expectations. 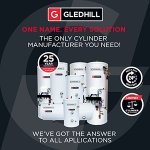 Supported by a central Sales & Logistics Team, solely dedicated to processing customer orders, providing technical advice and helping you source the correct cylinder to meet your requirements, Gledhill possess a specifically tailored structure that aims to act as your ‘right-hand man’, not just another cylinder manufacturer. What products does the manufacturer have to offer? Are you looking for an unvented hot water cylinder but struggling for room? Does the customer want to use a gas boiler as a fuel source but is looking to use renewable energy in the future? The first thing installers look for is a cylinder that meets their customer’s requirements. That’s why Gledhill provides a wide range of cylinders to meet all applications. 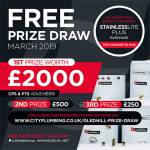 From their flagship StainlessLite range offering space saving solutions and pre-plumbed options for easier installations, to the Torrent Stainless range specifically developed for use with renewable energy. Gledhill also promotes a market leading vented range – the EnviroFoam stainless and the EnviroFoam Copper. The perfect replacement option, the EnviroFoam range is the ideal choice over competitor’s spray foamed cylinders. And, if none of our core ranges answer your specification, we’ve got a bespoke cylinder service designed to create the weird and wonderfuls. Overall, there’s a lot to think about when sourcing the right cylinder, not only for installers but also for the homeowner. Boasting a 25 year warranty, now with on-site technical support, Gledhill’s StainlessLite range demonstrates confidence in our products and the aftercare service we provide to our customers. 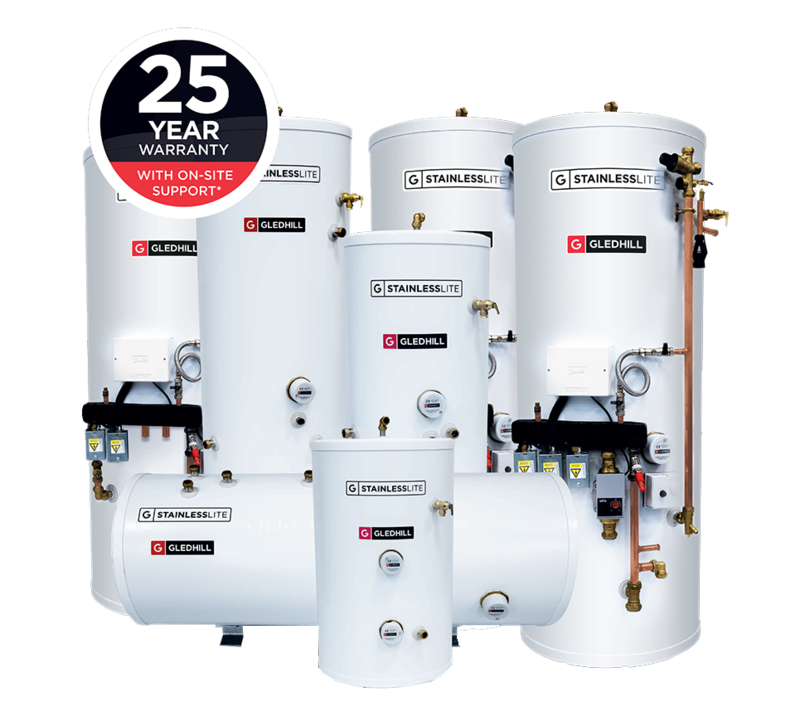 Always make sure you select the right hot water cylinder manufacturer that assists you in carrying out your installation to the best of your ability in all aspects of the job, not just the cylinder choice. To find out more about what more Gledhill can offer, contact your Regional Sales Manager here.